Sherlock’s legs stretched out before him as he pushed himself to go farther faster. With keen eyes, Sherlock managed to get around without crashing into anything in the darkness; the building around him empty now and unlit- a museum. His ears picked up a rasping sound that wasn’t his own breath, causing a deep ache in Sherlock’s chest. He knew it was panic, worry trying to swallow him. There had been a loud crack, like thunder, that echoed through the building moments ago, some glass shattering. A bullet had been fired off and someone had been taken down. Rounding one last corner, Sherlock saw him, saw John. He was there, laying down, hands pressed over his stomach. Blood seeped through his fingers. Nearly stumbling to a stop, Sherlock stared, eyes growing wide. John- he had been- but- Sherlock could feel the gears in his brain begin to age, rust over and stop turning all in a matter of moments. Snapping to it, Sherlock knelt beside John, who grabbed at his hands. With a weak grip, John put Sherlock’s hands over the wound. Sherlock nodded, understanding as he freed a hand to dig for his phone. Blood smeared over his shirt and jacket as he finally found it. His fingers fumbled desperately over the numbers. It wasn’t easy, especially when he was using a touch screen and trying to control his panic. He put the phone to his ear, still keeping the pressure on John’s stomach. Sherlock rattled off what happened, what they needed before hanging up and tossing the phone to the side. 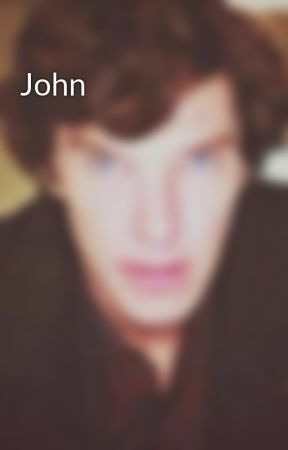 His eyes went back to John, searching him, searching for an answer, a way to help. 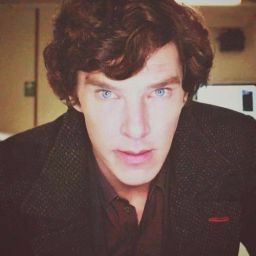 There was so much blood- a thing that never seemed to bother Sherlock before, but was nearly destroying his resolve now. His ragged breathing almost matched John’s. “What do I do, John?” Sherlock asked, his voice quivering. For the first time, Sherlock’s brain wasn’t able to process what was happening, wasn’t able to solve the problem at hand. This was John! Sherlock should be able to do this! “Keep. Me. Conscious,” John replied in pieces, each word a new struggle. His head rolled to the side and Sherlock pressed harder on the wound. John groaned in pain as his whole body tensed, hands balling up, legs shifting- like he wanted to curl up. He turned his head, teary eyes finding Sherlock’s again. A smile twitched on John’s lips, “Sherlock,” John closed his eyes and cringed, gritting his teeth. “Don’t talk,” Sherlock realized with horror. This was bad. This was really bad. This was worse then bad. “Just hold on. Stay awake. Someone will be here soon.” Why the hell couldn’t he do anything!? This wasn’t fair! John smiled again, but it was riddled with pain as his eyes found Sherlock’s, “I do. Sherlock, I-” he stopped, cried out. His body tightened in a wave of pain, eyes shutting. Every breath he took became sharper, shorter. And then he just relaxed. “John?” Sherlock’s deep voice cracked. He blinked. What? No. John didn’t move, didn’t stir. He blinked again. “John?” Sherlock said, his voice growing louder, booming in the empty museum. The sound of sirens rose in the background, but Sherlock didn’t move, didn’t turn his attention away from John, whose head was rolled to the side, mouth hanging open just a bit. “Sherlock?” a soft voice said, breaking through Sherlock’s loud cries. Sherlock felt something drop around his shoulder’s, hands wrapping around his arms. “Come on,” the voice urge gently as Sherlock was ushered to stand. “NO!” Sherlock hollered, ripping away from those hands. A flash orange danced before his eyes and he realized he a blanket wrapped around him. Sherlock’s legs wobbled and gave out beneath him. John. He couldn’t help John. He couldn’t save John. Sherlock crumpled up, his fingers clutching the blanket around him, pulling it tight. He screamed, pain rolling around in his chest like hot embers at the bottom of a pit being stoked to life. John was gone, taking Sherlock’s heart with him.